Personalized Cheeseboard Set, Custom Laser Engraved in Bulk. Inexpensive, Promotional. Lowest cost in USA and Canada. Inexpensive wholesale cheeseboard set, laser engraved and packaged in black gift box. 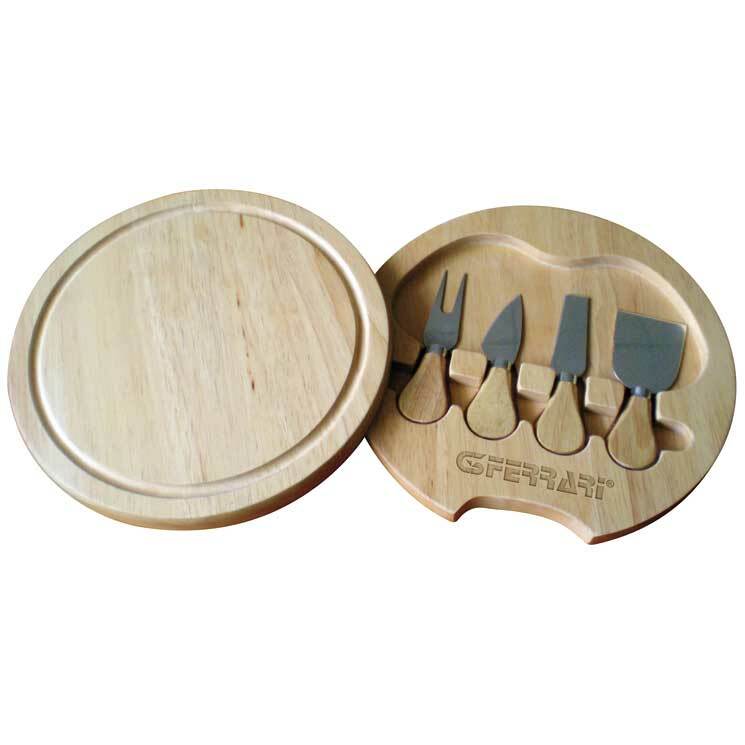 Our bulk personalized cheeseboard swivels open to reveal wood-handled utensils: knife, fork, spreader and slicer.